Pink Hot Chocolate? 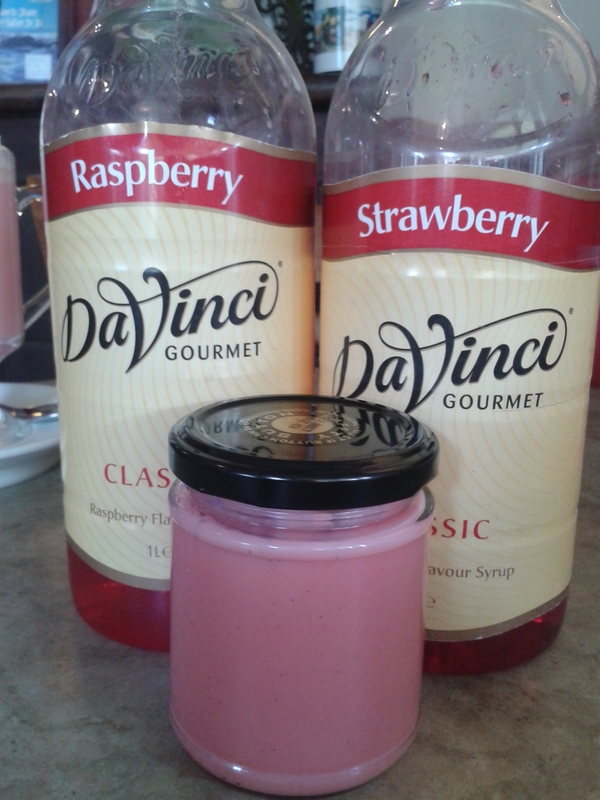 Raspberry Romance or Strawberry Sweetheart! 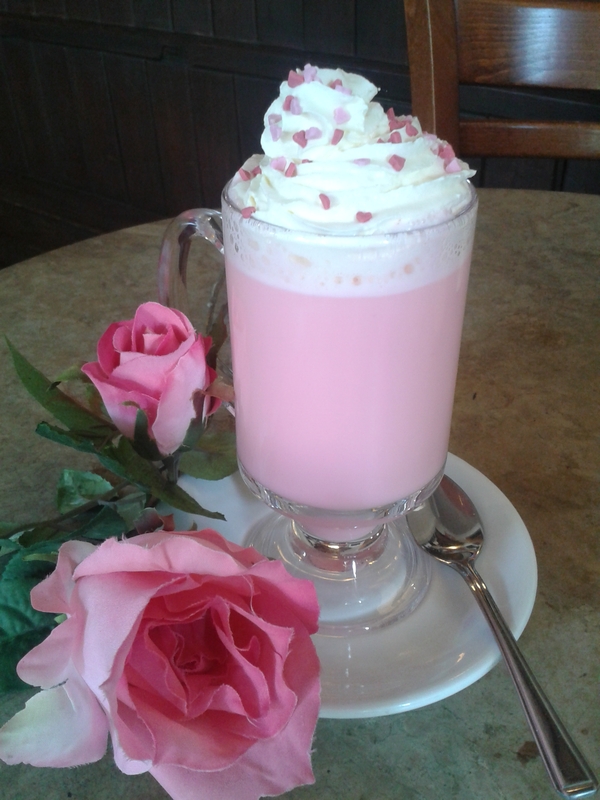 Next week our White Hot Chocolate Sauce is going all a flutter by blushing Pink for Valentines. I used my basic recipe adding some red food colouring paste at the end. You want a bold colour as it will go paler once you add the milk. As always, a note about food colouring: remember to start with a little and keep adding until you get the colour you desire – you can always add but you can’t take away! Pastes and gels are preferable to liquid colours as they don’t affect the texture of your recipe. Add a few spoonfuls to hot milk, a dash of raspberry/strawberry syrup a squirt of cream and finish with some little heart sprinkles! Or come in and try one of ours! Fed up of the usual Valentines Day rigmarole? Why not take your loved one out for lunch? Book a table here next Friday (14th Feb) and we will give you a complimentary Red Velvet Valentines cupcake!